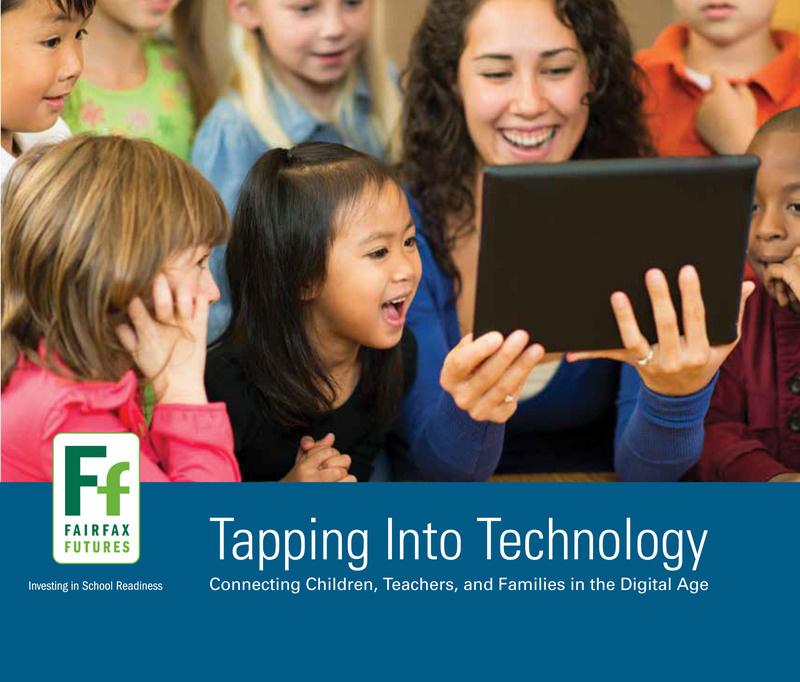 A new publication from Fairfax Futures provides helpful guidance on using technology with children ages 2-8. Tapping Into Technology: Connecting Children, Teachers and Families in the Digital Age shows how digital technologies can be used to help young children develop key skills that lead to success in school. As young children use digital technology at ever-earlier ages, Tapping Into Technology addresses the concerns of families and early care professionals on how to use technology in a developmentally appropriate way. The Glossary and Resources sections of the guide will come in handy for anyone interested in better understanding how technology can support learning. Fairfax Futures released Tapping into Technology at its 2015 Leadership Forum, Building 21st Century Workforce Skills: Supporting Digital Literacy. The Leadership Forum, made possible through the generous support of program sponsors Boeing and Sevatec, Inc., focused on the importance of digital competence beginning in PreK, continuing on into K-12, higher education and into the workforce. Click here to download Tapping into Technology. Click the image above to view or download Tapping Into Technology.